You want to spend relaxing days on the beach in your Zack beach shelter, but you don’t know the exact condition of the ground? 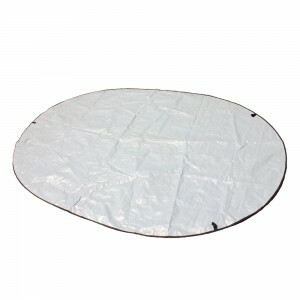 Then you should pick up the beach shelter base protector from Outdoorer. Sharp stones and large branches can hurt the bottom of your Zack beach shelter and may cause cracks or small holes. With the durable base by Outdoorer, this will not happen, as it provides an extra layer of protection between the beach shelter and the surface below. To prevent slippage of the pad, it is fixed with three pegs. These are included. Wher can you buy the durable beach shelter base protector? You can find the beach shelter base protector on Amazon.